Rachel returns to Kilbrook, where she’d lived as a child with full intentions of hurting bullies. She soon realizes her plan could hurt innocents also. But she reads “The Diary” each night to remind herself why she returned to this place of remembered miseries. It strengthens her resolve. Father Daniel Quinn has returned to Kilbrook for a very different reason. His efforts, emotions, allegiance, and, finally, his honesty, with himself and others intrigue. His gaining enough courage to do what is right for himself and others is an intricate part of the plot. Finn Mackenzie returns to Kilbrook, supposedly to help his Aunt Helen, but he, too, has a secret agenda. He has reinvented himself and is a successful actor, but it wasn’t easy. Now, he wants, in some way, to atone for a cruel wrong he was a party to in his miserable youth. The primary antagonists, Mellissa and Jay Cole, were bullies in school and continue, as adults, to use people, giving no consideration to the damage they are doing. Of course, there is a back story about them that explains their behavior, but it is not enough to excuse their actions. 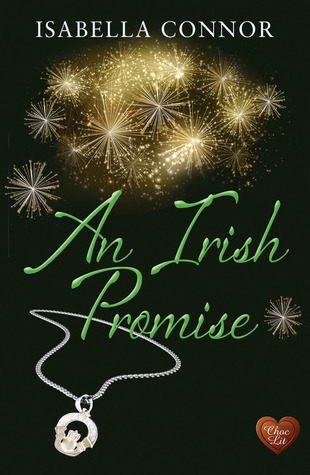 Rachel and Finn’s relationship evolves and he gives her a pendant with the Claddagh, an Irish design of two hands holding a crowned heart that symbolizes friendship, loyalty, and love; yet each of them have secrets they have not revealed to each other. Deceit is a major element in An Irish Promise. I even felt deceived at one point. But love is tenacious and hangs on through a multitude of conflicts.